Call for Proposals: International Conference on Integrated Research in Language and Culture, Mind and Cognition, June 28-30, 2018. Deadline: February 15, 2018. National University of Mongolia and School of Philology and Communication of Buryat State University, Russia invite proposals for the International Conference on Integrated Research in Language and Culture, Mind and Cognition to be held June 28-30, 2018 at Buryat State University and Baikal Riviera Resort in Russia. Proposals for paper and poster presentations, workshops and panel discussions are invited in the following areas psycholinguistics, cognitive psychology and semiotics, translation and intercultural communication, cultural identity and related issues in discourse research, issues related to the ontology of language, studies of Mongolian World through modern research methodology, new trends in national and foreign literature studies, modern language and communication teaching technologies and methods, use of proper names in discourse. All the selected proposals will be published in conference proceedings prior to the conference. CFP: Digital Transformation & Global Society (DTGS ’18) Conference – St. Petersburg, Russia, May 30-June 1, 2018. Deadline: February 1, 2018. The DTGS conferences are an emerging academic forum in the interdisciplinary Internet Studies field. The conference’s mission is to serve as a collaborative platform for researchers and experts to discuss the transformative impact of digital technologies on the way we communicate, work, and live. The special focus of DTGS ’18 is on the ICT-driven behavior in various spheres of life, as well as on the technology-driven institutional changes in politics, economy, and social life. The language of the conference is English. All submissions will undergo a double-blind peer review process. Chatham House, in partnership with the Robert Bosch Stiftung, hosts fellows from the six countries of the Eastern Partnership and Russia. The fellowship offers an opportunity for the next generation of scholars from Armenia, Azerbaijan, Belarus, Georgia, Moldova, Russia and Ukraine to advance their knowledge of post-Soviet politics, develop research skills, contribute to Chatham House research, and build links with policy and academic communities in the UK, Germany and the EU more broadly. The fellowship is aimed at future leaders, researchers and opinion-makers in the early stages of their careers. The fellows spend nine months working at Chatham House with the Russia and Eurasia Programme team. During this time they will conduct a research project of their own design relating to the politics, economies and/or societies of the post-Soviet region. In the course of the fellowship, the scholars will conduct research trips to the region and also spend time at the German Council on Foreign Relations in Berlin. The fellowships are part of Chatham House’s Queen Elizabeth II Academy for Leadership in International Affairs. The 2016/17 application window is now open and will close on 31 May 2016. To apply, please refer to the information pack and application form as well as our FAQ page. The application form and accompanying documents should be completed and emailed to AcademyRobertBoschFellowships@chathamhouse.org by 17:00 BST 31 May 2016. Interviews are scheduled to take place in London on 15 July 2016. Should you have any further queries please email the Academy. Defining and reflecting upon the development of communication as a discipline and as a field has been on the communication researchers’ agenda for about 50 years; however, there still is no clear agreement among communication scholars about the scope and development vector for this field of study and practice. There still are a lot of disagreements on the nature of communication discipline, including subject area, theoretical and methodological base, etc. Moreover, little is known about the specifics of development of communication discipline in the countries other than the leaders in the field. Multiple communication associations and international conventions have raised the issue of communication as a discipline, taking theoretical, regional, historical, institutional, and other perspectives. Finally, communication is a must-have part of many universities’ curricula and one of the most wanted skills and specializations in contemporary service and information job fields. The conference organized by the Department of Integrated Communications at Higher School of Economics in Moscow is aimed at bringing together once more different voices from communication scholarship in order to advance constructing a conceptual map of communication discipline and field in various parts of the globe and thereby further our understanding of the primary role of communication in modern society. We invite you to share your perspectives on the essential questions of the nature of communication as a discipline and as a field. Please submit your extended abstracts from November 2014 to March 2015 by sending an email to aendaltseva@hse.ru or by using a submission form provided on the conference website. The participants will be informed on the decision in early April 2015. Full papers should be submitted by May 2015. The registration process will be opened in May 2015 to allow us time to get visa assistance paperwork done. The prevailing tendency in modern Communication Studies is the search for break-through solutions in human development, the analysis of new possibilities in the formation of human consciousness and social behaviour. The success of one person or a social institution is impossible without the strategic development and improvement of the communication process, in which an individual or a community act as its participants. The aim of the biannual Russian Communication Association (RCA) International Conference held together with our partners is to combine the efforts of scholars from different countries, fields of study, research centres and schools of thought for the further multiparadigm development of Communication Studies. The international partners and information sponsors of the conference are the Eurasian Communication Association of North America (ECANA), the National Communication Association (NCA), the International Communication Association (ICA), the European Communication Research and Education Association (ECREA), the Polish Communication Association (Polskie Towarzystwo Komunikacji Spo³ecznej, PTKS), the International Federation of Communication Associations (IFCA), the World Complexity Science Academy (WCSA), the Russian Association for Film and Media Education, and the Kazakhstan Communication Association. To learn more about this conference and the call for papers, CLICK HERE. The focus on law selected for the upcoming special issue of the Russian Journal of Communication seeks to address yet another facet of Russian society that has undergone a deep transition in recent years. 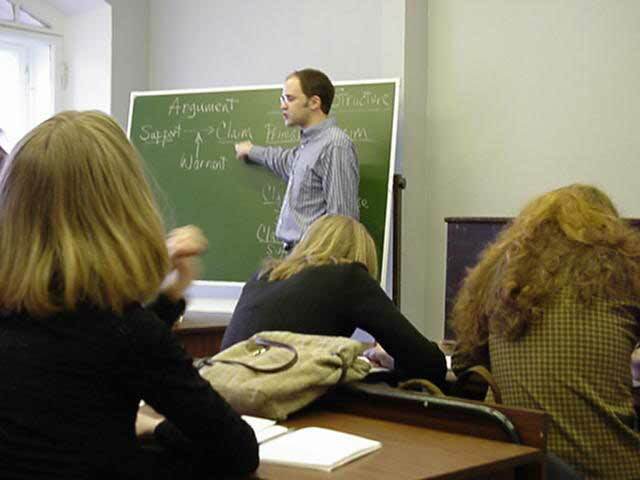 Despite its paramount importance for the emergent civic society, in comparison to politics, economics, entertainment and media, which have been at the forefront of public and academic discussion for some time, Russian law, particularly and crucially in its communication dimension, remains in the shadow and outside the purview not only of the public eye but also of specialised academic research. Yet at every level – for example, those of juridical language and discourse, of legal codes and conventions and of ritualised legal acts and practices – law draws attention to its communication strategies. Most commonly, law in Russia expresses itself through mass media, focusing on such high-profile and tendentious cases, such as the Vasilyeva corruption case, the Khodorkovsky quasi-political case, or the Polonsky extradition case. However, behind the scenes too the country’s population has been deeply immersed in civil litigation, suing and countersuing relatives, neighbours, co-workers and businesses. Speedy criminal prosecution fuelled by the creation of the Federal Investigative Committee also creates an impression of a busy legal life in the new Russia. Yet, turning into a law-abiding society has proven to be harder than expected. Although the country moved well beyond the ‘lawless’ 1990s, new challenges have emerged, revealing the lack of independence, impartiality and competence of the judiciary; the collusion of law and bureaucracy; the corruption of the police and other law-enforcement agencies; procedural uncertainty; professional ineffectiveness and poor legal education of both defence and prosecution attorneys. These problems, some apparent and some dormant, have developed a persistent impression both in Russia and in the West that law in Russia is not an independent entity but services a higher political authority and that justice there is arbitrary and harsh in the extreme. In order to examine these and other problems and developments, we invite submissions which would address Russian law vis-à-vis language, discourse, and communication. We welcome both humanistic and social scientific scholarly approaches to communication, including philosophy of communication, traditional and new media, film, literature, rhetoric, journalism, information-communication technologies, cultural practices, organizational and group dynamics, interpersonal communication, communication in instructional contexts, advertising, public relations, political campaigns, legal proceedings, environmental and health matters, and communication policy. All methodological perspectives—theoretical, empirical, critical, comparative, historical, and interdisciplinary studies—will be considered. Please submit complete manuscripts (between 6,000 and 8,000 words, including tables, references, captions, footnotes and endnotes) with a brief biographical statement and contact information via email attachment to both Igor Klyukanov and Alexander Kozin no later than September 15, 2014. Prospective date of the special issue’s publication is May 2015. Notice of disposition will be sent within two months from the date of submission. Russian Journal of Communication (RJC) is an international peer-reviewed academic publication devoted to studies of communication in, with, and about Russia and Russian-speaking communities around the world. RJC is published by Routledge and follows a double-blind peer review process to maintain its high standard of scholarship. All research materials published in RJC have undergone rigorous evaluation, based on initial editor screening and review by at least two anonymous referees. 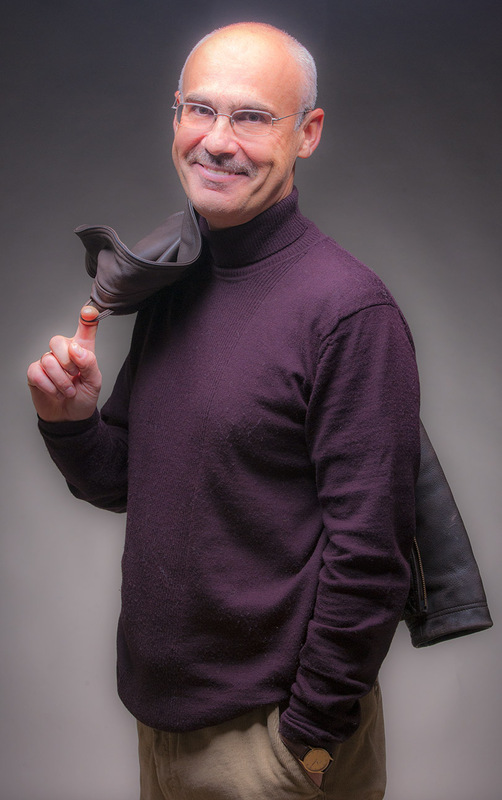 Igor E. Klyukanov is Professor of Communication in the Department of Communication Studies at Eastern Washington University. His defended his doctoral dissertation, Dynamics of Intercultural Communication: Towards a New Conceptual Framework, at Saratov State University (Russia). He has served as Chair of the NCA Taskforce on Enhancing the Internationalization of Communication, Chair of the NCA Philosophy of Communication division, and as a member of the Russian Communication Association Steering Committee. He served as an Associate Editor of The American Journal of Semiotics and is the Founding Editor of Russian Journal of Communication (Taylor & Francis). He organized the First International Communicology Institute Colloquium at Eastern Washington University in May 2014. He is interested in intercultural and global communication issues as well as communication theory, philosophy of communication, semiotics, general linguistics, and translation studies. His works have been published in U.S., Russia, England, Spain, Costa Rica, Serbia, Bulgaria, India, and Morocco. His works have appeared in such journals as Studies in Humanities, The American Journal of Semiotics, The Atlantic Journal of Communication, Arob@ase: A Journal of Literature and Human Sciences, International Journal of Communication, International Journal of Applied Semiotics, Language, Individual & Society, Contrastes: Revista Interdisciplinar de FilosofÍa, and Discourse and Society. His textbook Principles of Intercultural Communication (Boston, Pearson Education, 2005) has been adopted by over 30 Colleges and Universities in the U.S.
His monograph A Communication Universe: Manifestations of Meaning, Stagings of Significance (Lanham, MA: Lexington Books, 2010) won the 2012 NCA Philosophy of Communication Division 2012 Best Book Award. He is also the Translator and Editor of Mikhail Epstein’s book The Transformative Humanities: A Manifesto (New York: Bloomsbury, 2012.